A bunch of green specific websites are springing up. They sort of remind me of the early days in the gay&lesbian community when everything had to be really gay&lesbian and only gay&lesbian or it didn’t count. Things are much more mainstreamed now and that’s a good thing in many ways–hopefully the path to mainstreaming green living, green concerns, green investing will be faster, smoother, better. Greener.com, a green search engine. If you want to find something, but want to narrow the field to green, here’s your engine. Greenmaven, another search engine that also includes social awareness along with greeniness in its search results. Hugg is like Digg but with a green angle. This one’s pretty interesting and since I have found myself having a hard time categorizing green stories adequately in Digg, I’m liking the alternative. 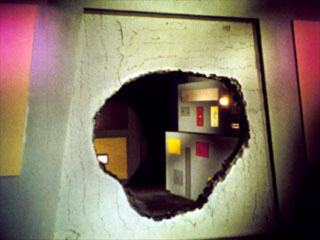 Inhabitat is a beautiful blog discussing sustainable design of all kinds. It’s gorgeous in a West Coast Zen kind of way. And now for something completely different: measuring the effectiveness of KM. Suarez in his blog discusses the ongoing question of measuring KM–to prove its worth to everyone from end users to IT, to Veeps, etc. He despairs of finding an adequate answer to the ongoing question and I don’t blame him. KM usage, wikis, blogs, etc are all experiential and viral in their best cases; like I ranted in my post yesterday, KM of all stripes is a haven for command-and-control management and the insistence on measurement is a key indicator of command-and-control style. That said, I don’t live in such a fantasy land that I think we’ll get rid of measurement any time soon. I introduced wikis to a very large, global computer maker and the biggest difficulty we had in the process was trying to get them to think differently about “measurement.” I don’t think we succeeded, and as a result, even though the wiki is successful in terms of adoption, the lack of meaningful (read: corporate) measurement has all but made the wiki invisible to upper echalons of management. They can’t talk about it in numbers, so they disregard it. Fortunately, the wiki itself, intended for front line users, can live quite happily without a lot of attention. My ongoing philosophical question: has Excel made life better or worse or something in between? We now use it because we can–for anything and everything. It’s a fabulous tool…I just wish sometimes we could put it down and thinking differently about things. I consult on operational issues relating to the customer and the front-line worker—that vital connection between the company and the public. Of late, that connection has shown some wear and tear. Its been commoditized as companies try to manage costs—and when they try to manage costs, they head for the frontline first. They buy software, dream of robotic systems, outsource their service—not because it’s better but because they hope it will make the problem of the frontline-to-customer relationship go away. Knowledge Management, in all its many forms, is a command-and-control oasis. With very few exceptions (and those exceptions are basically Web 2.0 leaders), companies desperately hang onto the notion that they should, and can, control the information that flows from the agent to the customer. This subverts the agent’s role into that of a robot and so far in all my agent observations, I’ve yet to meet a robot. Internet-based knowledge sharing—wikis, blogs, online collaboration tools—is both revolutionary and elegant. It engages people at an intuitive level and collects tacit knowledge in natural, accessible ways. Legal will hate it, IT will distrust it, Management will eschew it because they don’t understand it. The New Knowledge Sharing–how many more Knowledge acronyms can we bear? ?–which will take place online is the one innovation that will engage the front-line, enable JIT knowledge transfer, help the customer, and give command-and-control management style a run for its money. I know where I’m placing my bets. A local fave rave consulting group, Ramp Group, has some interesting thoughts about knowledge and content sharing on their blog. Here’s a great rundown of articles tackling the problem of knowledge sharing across global groups and in enterprises–note the dates of the articles, the more recent ones are coming to the same conclusions as above. Note: Jorge Gajardos Rojas from Chile wrote yesterday to ask why I don’t just walk? He lives close to work and ammenities and walks daily. Such a great question–most Americans don’t walk unless it’s for leisure. We don’t walk to the grocery store, for sure. We couldn’t carry back the massive amount of stuff we buy. But elsewhere in the world people walk everywhere, daily. I’ve walked to the grocery store a few times in this project but haven’t kept track of it; I imagine if I walked to the store daily, I wouldn’t have to pay for a gym membership. Thanks Jorge! 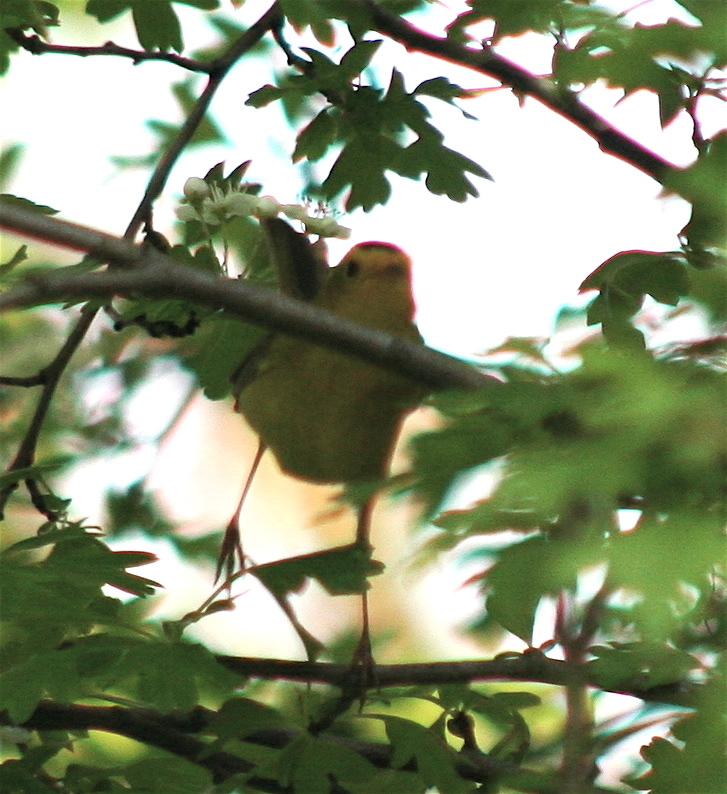 It’s all about W’s today: Wilson’s Warblers and Wikis. Wilson’s Warblers come through our Puget Sound area in early spring as the head north and again at the end of Summer as they head south. They’re the most fantastic little birds, wildly energetic and full of song, bright yellow heads with a black cap, dusty yellow bodies with olive/gray on their wings. I always look forward to seeing them because it means Spring is really here–which in some years like this one in Seattle is nothing short of a miracle with its ongoing unseasonably cold weather. Check his little legs and feet! This guy was moving so fast from branch to branch, I just set the camera to snap him as he moved. Onto wikis. I gave a case-study presentation last week to an audience in Sydney, AU on the successful launch of a global internal wiki for customer facing tech help agents. As my prez was part of a larger, jam-packed agenda, I didn’t have much time to cover a fairly complex issue, that of how to successfully integrate a wiki into a large, global, unwieldy enterprise environment. The questions were pretty good–the excitement about integrating wikis into enterprise environments is growing, that’s obvious. But I found it interesting that the focus really fell on how to measure its success…a predictable response from a group that lives and dies by metrics. I don’t fault them, I just find it sort of…well, predictable. I follow this plan: you continue to measure standard issues, such as Handle Time (which in this case showed a decrease of approximately 10% in 4 months), but you make room for adoption and understand Adoption as your number one metric for about 9 months. Because just like the internet, if you don’t have users (traffic), you don’t a wiki. For now, wikis will resist the standard measurements. But if you care about getting the info out of your agents’ head and out to the customer–that most sought after tacit knowledge–you’ll learn to measure adoption over the usual suspects and then focus on content, quality and customer sat. Some very interesting trends in wiki use indicate that smaller communities of practices do better with wikis than larger ones. For a global group like the one I was discussing, this presents a problem and it remains to be seen if the problems resolves itself through usage. Another interesting trend is culling the information that is added to the wiki for potential self-help use on the corporate web site–I would dearly love to see this practice flourish, for all of us customers out here who go to the website first for answers–and so often find it lacking in effective KB, especially true with tech or tech-related companies..
Wiki interest is alive and well in Sydney. First full work week without the use of a car! flexcar: I’m just about to take this one out, I’m not using it at all. Just considering the possible use of a massive wiki for tech help agents in an enterprise setting. Any thoughts anyone out there might have would be of interest. use for decision trees, or trees of any kind? I’m convinced through painful experience that global companies with a vested interest in a uniform customer experience and support options will have to have some kind of JIT publishing process and collaborative sharing processes to create a global MindShare at the agent level. Further, it’s about the only way out there to actually collect and leverage tacit knowledge. But can it be done and measured and proven to be as effective as I think it can? Don’t know. Wiki = better corporate culture and customer experience? Previously I noted in passing about the article in the New Yorker about Wikipedia–great stuff that has received a lot of attention and brought Wikipedia into the mainstream. Love to know what Wikipedia’s metrics for the last week have shown regarding that attention. Anyway, I’d also noted that Digital Universe offers a very different approach to collaborative knowledge, social networking etc. As I’m trying to apply the wiki concept to the knowledge management of a global company with extreme complexity, a lot of questions come up regarding the two approaches, one being more or less a self-governing free for all, the other being a collection of portals maintained and controlled by subject matter experts as gate keepers. Those using the knowledge base are also those who interface with customers. They know what the most current problems are, what the work-arounds are, what’s needed, what works. They know it like the back of their hand. As Peter Drucker pointed out often enough, the frontline workers are the keepers of truly useful knowledge. They have every reason to make sure the knowledge they have at their fingertips is the best, most correct and most useful. They have every reason to make sure their co-workers also have that information so they don’t have to clean up the mess left behind by someone who did the job poorly the first time. They also have every reason to want the recognition they deserve for the knowledge they’ve acquired. In all of these cases, a wikipedia answers the call. Further, the customer would prefer that frontline worker have as much useful, applicable and timely information as possible, as quickly as possible. That would mean a quick answer to their problems and that’s pretty much all they want. So, none of this is rocket science but to get a large, entrenched company to recognize the worth and value of this radically new frontier of shared knowledge and JIT publishing…now there’s some magic. How threatening is a many-to-many publishing? Maybe pretty dang threatening, it could be a game changer. But in exchange, you’d have fresh energy, real motivation to “get it right,” and direct relationship with excellent frontline customer experience. An article by Stacy Schiff in the latest New Yorker does a dandy job of bringing wikipedia into the mainstream, warts and all. Good history, good questions, and good job pointing to co-founder Sanger’s new-and-improved version of collaborative knowledge centers, Digital Universe. Seems likely that in no time at all, the two approaches will find their home: wikipedia for the casual user on the net, digital universe for academics, professionals, and all who want at least some expert control over content. Digital Universe is a very interesting concept. I’m looking forward to learning more about it for application in knowledge management for global companies with complex needs. Does anyone remember the Star Trek episode about Landru? Landru was the "God" of a very stifled and inhibited society; they were all about "The Body." Being part of The Body meant you did whatever Landru asked you to do, no matter how ridiculous or tastelessly dressed it required you to be. The apparent reward for this kind of obediance was one day of utter insanity per year, when everyone went completely nutso and broke all the rules, committing atrocities of every kind, and devolved into drunken debauchery. Of course Kirk has several good fist fights, and I think Spock pretends to "go over to the dark side," infiltrating the priestly ranks of Landru's caretakers. The usual stuff. Finally, they discover that Landru is a several thousand year old computer designed by a benevolent guy named Landru, but the computer version just keeps running the place with the same old program, the same old functions, the same old routines. 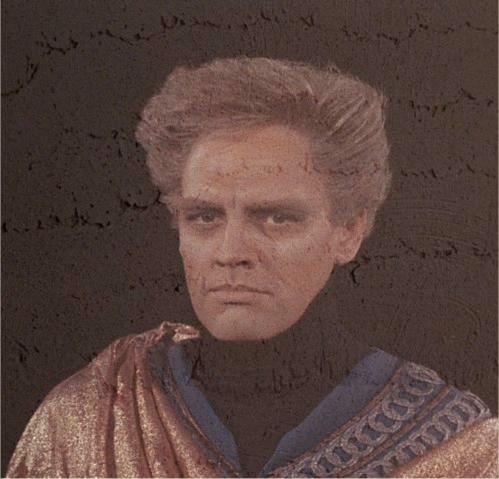 I'm working with a company right now that has a Landru in place–it's their home-grown knowledge management system. Once upon a time, their system was, like Landru, a pretty good idea–the company was smallish and growing like gangbusters and needed some kind of system for standardizing knowledge across all its parts. But now it's just freakish, and has the attendant priest class and this sort of blind adherence and loyalty, even as the rest of the world has moved onto web based KM, google, intranet 2.0, wikis and what not. It doesn't have the one-day-a-year free-for-all, which is a shame because in this case, it might actually do them some good. Where oh where is Captain Kirk when you need him?